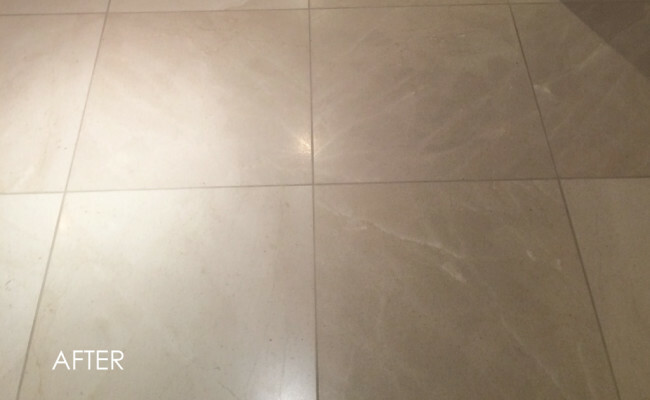 This honed and sealed limestone floor had an extreme case of micro-pitting, that is, tiny holes throughout the stone. The homeowner liked the rustic, weathered look of the stone, but wasn't so happy with the dirt, grime, bacteria, and allergens that had become trapped in these tiny holes. 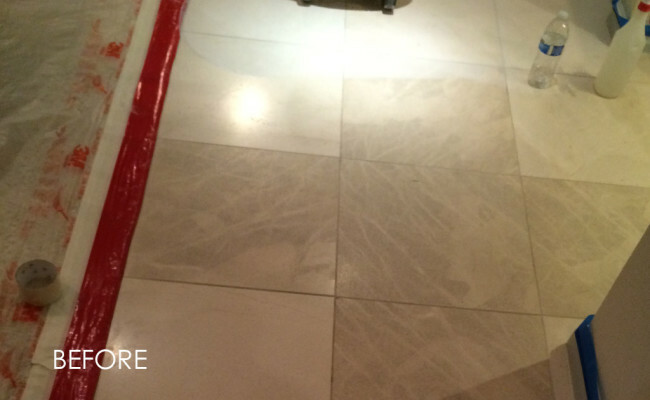 Notice the poor appearance of the floor in the BEFORE images. No amount of mopping or scrubbing could thoroughly sanitize this floor. We polished the floor using a high-shine polishing compound (instead of honing powder) to maintain the slightly polished, honed finish. The safest and most effective way to clean limestone with mico-pitting is to use very hot water and high pressure to flush out contaminants. Our state-of-the-art equipment enables us to adjust the pressure and heat in a spray-vac wand with a very powerful vacuum that controls the water flow to protect the base boards and surrounding areas. 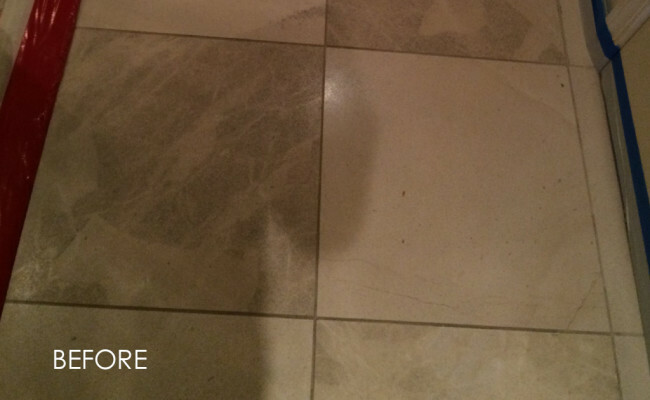 As you can see in the AFTER images, this floor is truly clean. 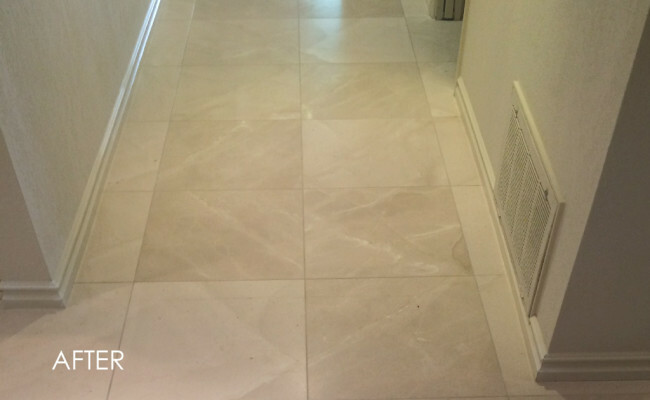 To learn more about limestone cleaning, repair, and restoration, visit our Natural Stone Services Page. 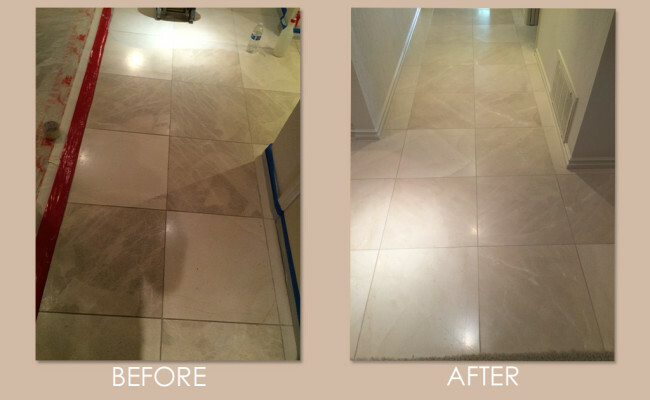 For limestone floor cleaning, repair, honing, or polishing services, contact us online or call (925) 625-9625. We service Pleasant Hill, CA, as well as the Alameda and Contra Costa County areas.